In a world torn by confusion and strife, we need the message of Fatima now more than ever. A detailed analysis of Dante's use of Mary as Madiatrix in his most famous poem. An interview with Fr. Bertrand Labouche on his forthcoming book on Fatima. 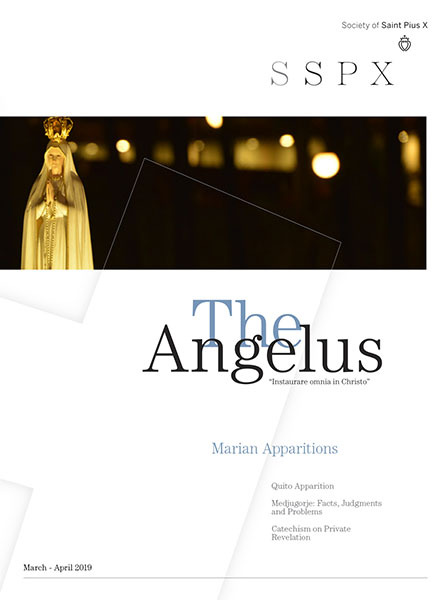 A historic article from The Angelus archives on the famous Miracle of the Sun at Fatima. A review of the recent "Mary's Mission Tour" pilgrimage in the Phillipines. A respected traditional Catholic writer reflects on his first trip to Fatima. The autumn season is particularly rich in Marian feasts. Here is an overview. Pope Pius XII had an important connection to Fatima. The following articles explore it in very depth. An excerpt from Fr. Labouche's new book, Fatima, The Message for Our Times. Connecting the life of prayer with the revelations to the children of Fatima. 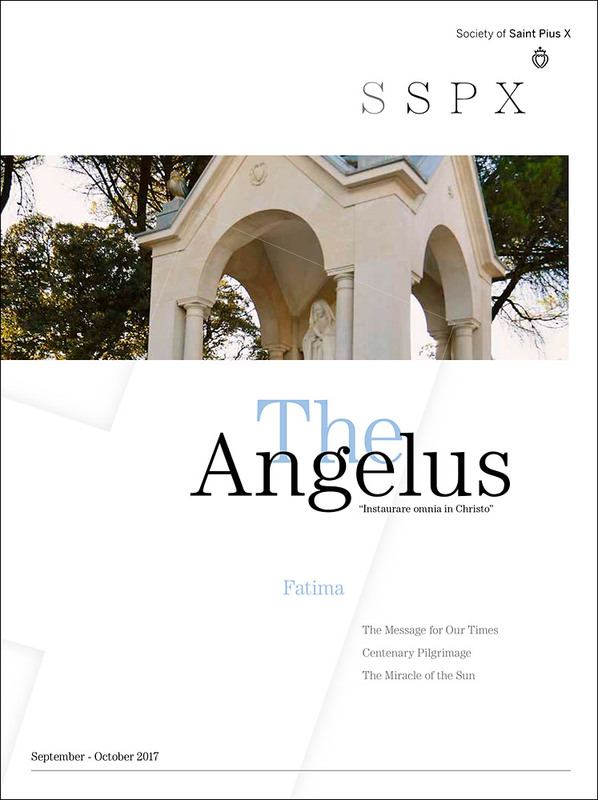 A review of the Society of Saint Pius X's historic piligrimage to Fatima. On the history and strucutre of Paris's most famous cathedral. he Church has a duty to watch over the education of her children in order to make of them worthy sons and daughters of God. Questions and answers on scrupulosity, enduring pain, and whether or not one should have a "living will." A conference given on the educational philosophy of Fr. Roger-Thomas Calmel. How can one ever write a last word on an intervention of the Mother of God? Will there ever be a last word on Fatima?